The two-week preorder period for the Samsung Galaxy J8 in the Philippines has ended. Today, August 4, the smartphone is finally available in black, gold, and purple at all Samsung stores and authorized resellers nationwide. As a come-on for potential buyers this opening weekend, the company is giving a P1,000 (roughly $19) discount on the J8 until August 5. That means you can buy the handset for P14,990 ($283) instead of P15,990 ($302) for a limited time. What’s more, all early purchases come with exclusive freebies, including a NanoFixIt screen-protection-and-insurance package and a JBL Clip 2 Bluetooth speaker. The Samsung Galaxy J8 is being marketed as a mobile device perfect for taking pictures. The dual 16- and 5-megapixel rear cameras have f/1.7 and f/1.9 lens apertures, respectively, making the phone ideal for low-light photography. There’s a Live Focus feature, which enables background blur adjustment to create an artistic bokeh effect and make subjects stand out. On the front is a 16-megapixel selfie camera with an f/1.9 lens aperture. 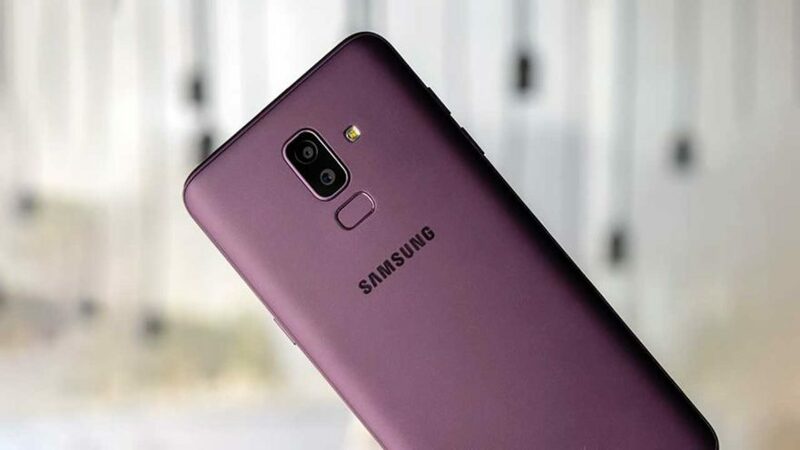 This Galaxy is one of two current J series models (the other being the Samsung Galaxy J6) that get the Infinity Display treatment, meaning the 6-inch AMOLED screen is tall at 18.5:9. That used to be exclusive to Samsung’s flagship and, eventually, A series smartphones. The Samsung Galaxy J8 is built around Qualcomm’s Snapdragon 450 processor, complemented by 3GB RAM, 32GB of expandable memory, and Adreno 506 graphics. The user interface is based on Android 8.0 Oreo. And the battery is rated at 3,500mAh.